I moved to the DC area in the Fall of 2001. I've just realized that I've been living here for almost 14 years, and it has become near and dear to my heart. After all, this is the place where I finished my undergrad and soon my graduate studies this May. It's the place where I fell-in-love, broke my heart, fell-in-love again and met my husband, Kepi. 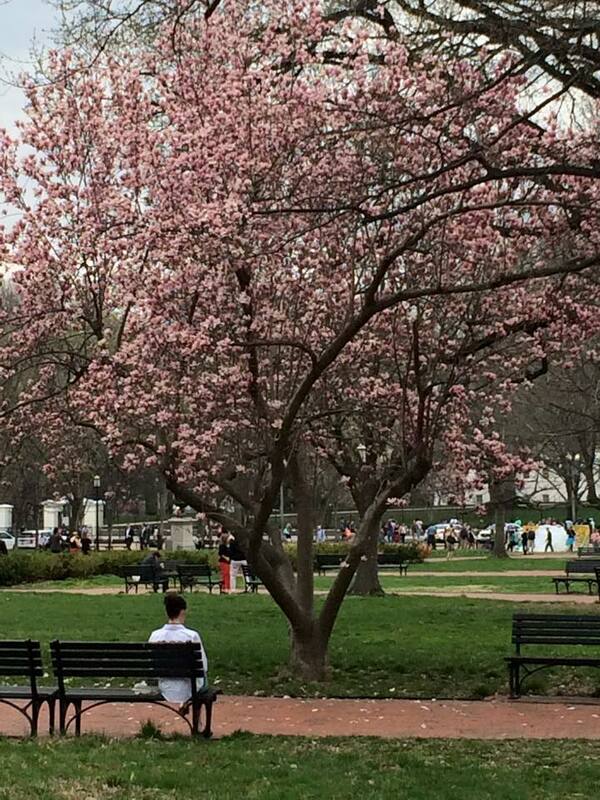 In fact, our first date was at the National Mall. I know that when people, locals and tourists, talk about DC, they associate it with politics, dirty lobbyists, government shutdowns and a pathetic dating scene. But I wish to digress and show what I love about DC, the DC I know, the DC that ordinary people like me see and experience everyday. 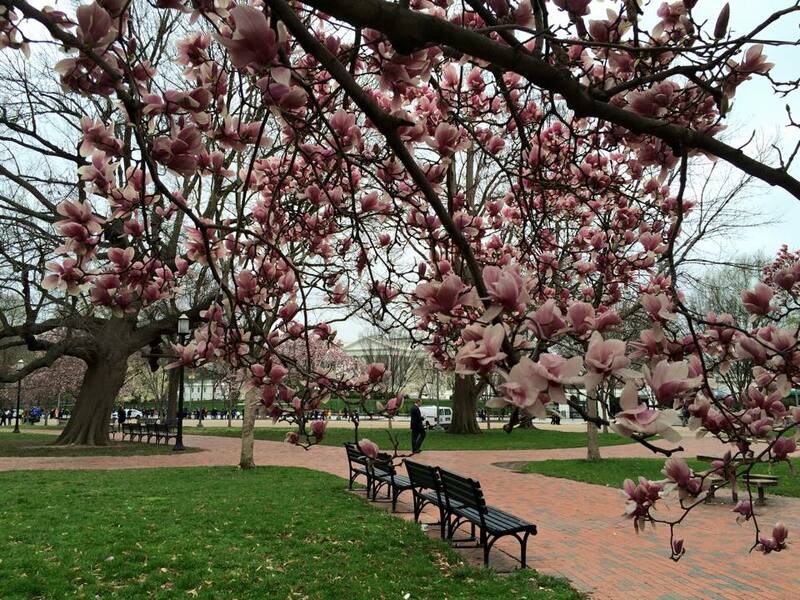 Whether it's a bad commute at the DC Metro, a relaxing lunch at the park or a day spent enjoying the blooms that dominate the area in spring time. DC's charm can sometimes be overshadowed by the incessant squabble between Democrats and Republicans, but at the end of the day, the city and its numerous monuments silently stand watch as history is made each day, not by the big shots, but by the ordinary, nameless people who keep the city running. 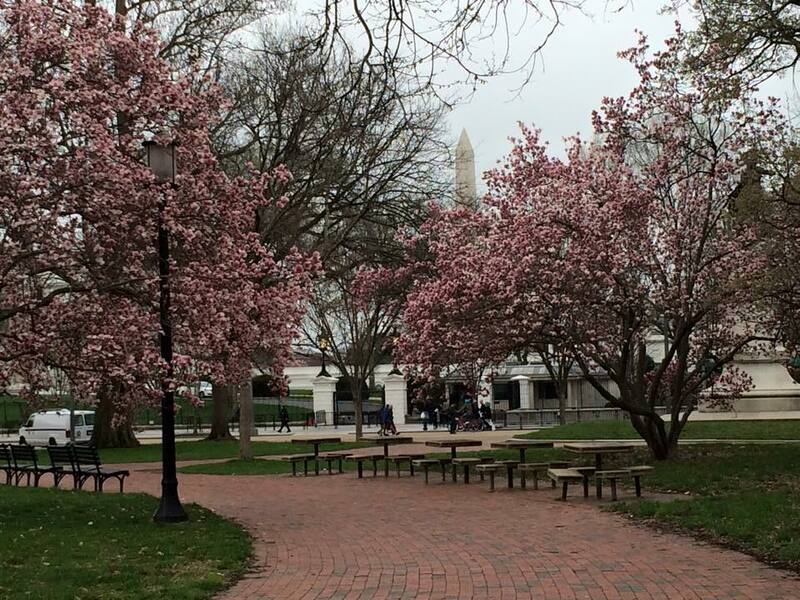 Today, I'll feature Lafayette Square which is named in honor of General Lafayette of France. This is a popular place to have lunch, relax, catch up with friends and even yoga classes. 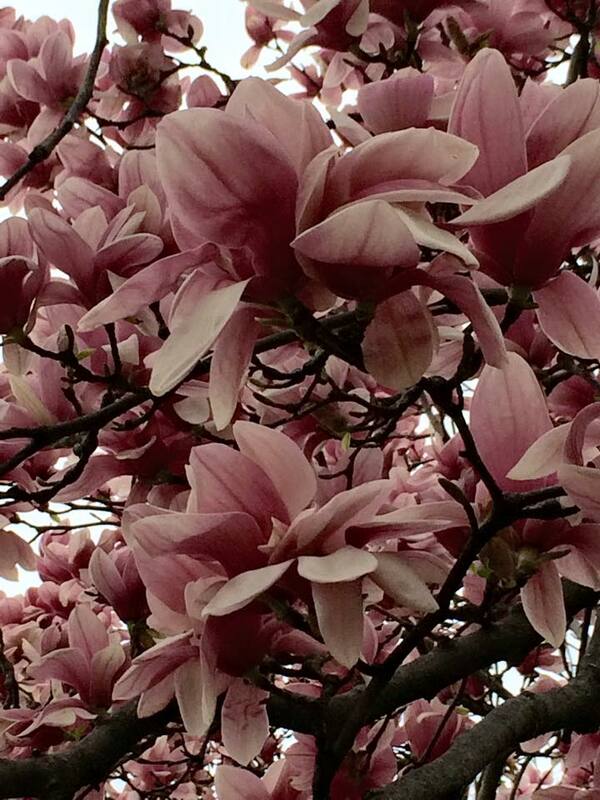 Magnolia flowers are large, beautiful and stunning. 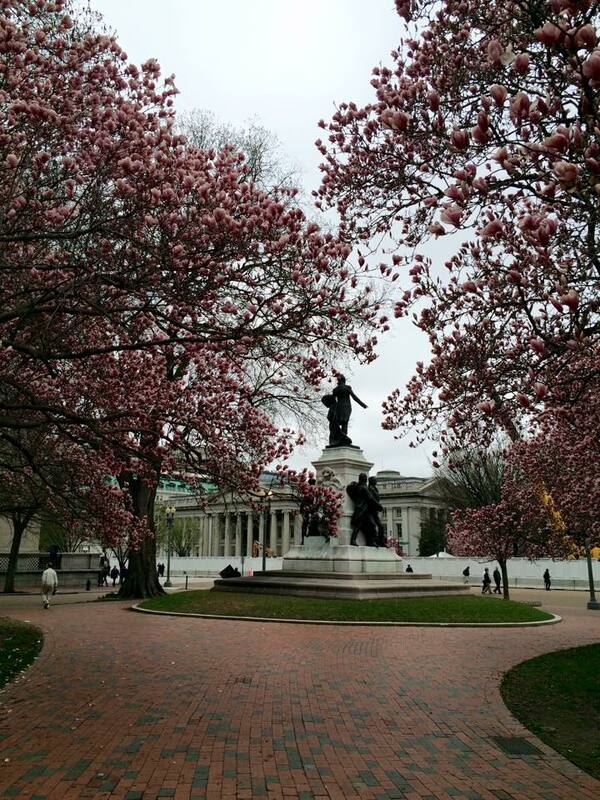 In early spring, the air around the Square is permeated with the sweet scent of blooming Magnolia flowers. I'd purposely walk around here during lunch time, and when the temperature is warm enough, I'd eat my lunch underneath these blooms. 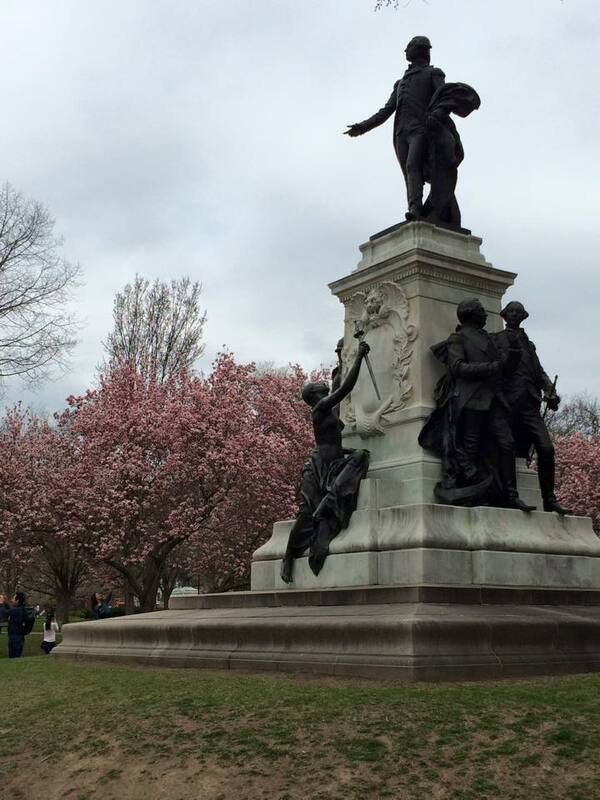 A statue of General Lafayette and his Patriots. A different angle of General Lafayette's statue. It was drizzling when I took this photo. It's tourist season here. 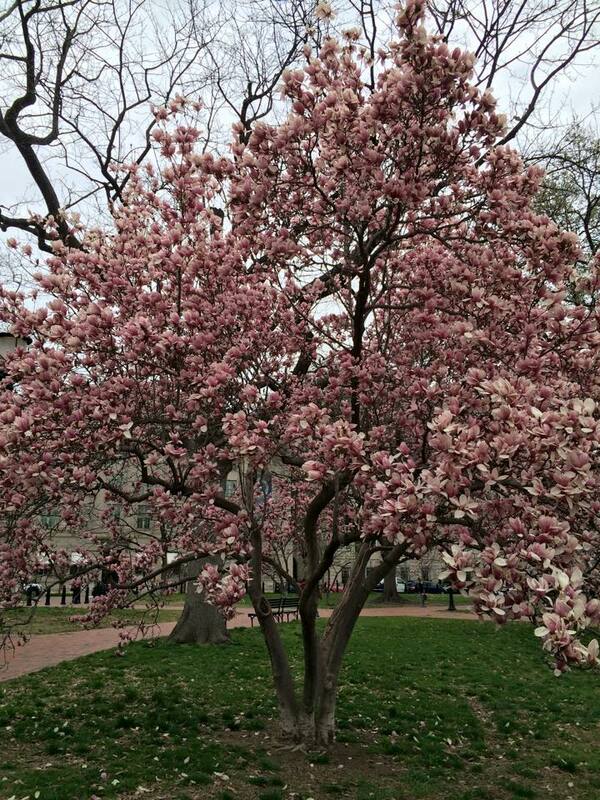 I know people are flocking to the Tidal Basin for the Cherry Blossoms but do not overlook the other flowering trees in DC. 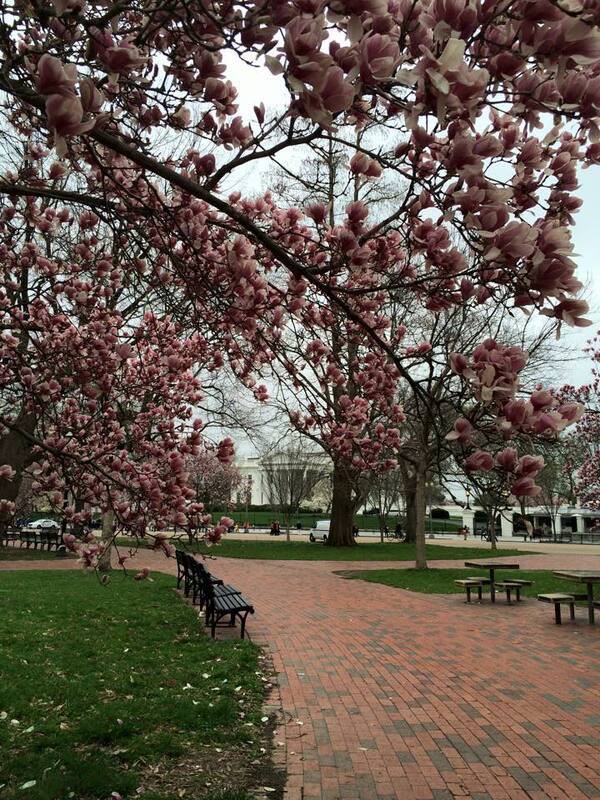 The Magnolias at Lafayette Square are stunningly beautiful. Another plus is that it is in front of The White House. I would definitely plan a trip there in the spring. I love magnolia. Do they bloom the same time as the cherry blossoms? Yes, about the same time. It's really worth a visit in addition to the monuments and The White House. I would have to agree, DC has found a special place in my heart as well and it all because of Kayni. Thank you Kayni for everything. You're very welcome, and thank you as well. I do too. 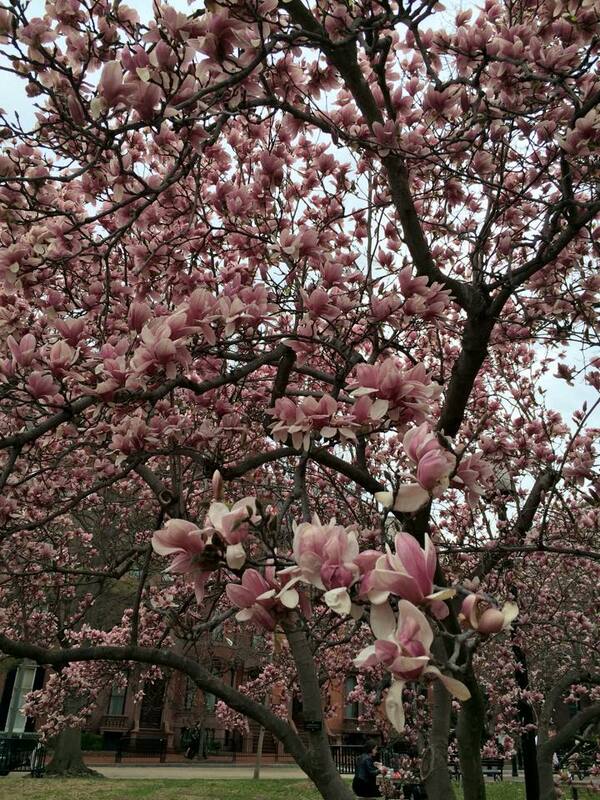 I love this time of year because of all the flowers and flowering trees that are blooming. Wow - those magnolia are stunning! Yes they truly are, Ladyfi. Wow a vey beautiful place.